Unless you’re Apple, most technology companies have a lot of trouble building hype for their products. Well it seems that Amazon has killed that course, the Kindle Fire is the first tablet since the iPad that I’ve actually been excited about. The real question is, why am I so excited? 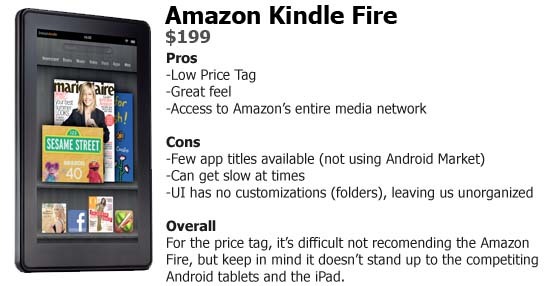 I already own an iPad, but the Kindle Fire is still exciting to me. 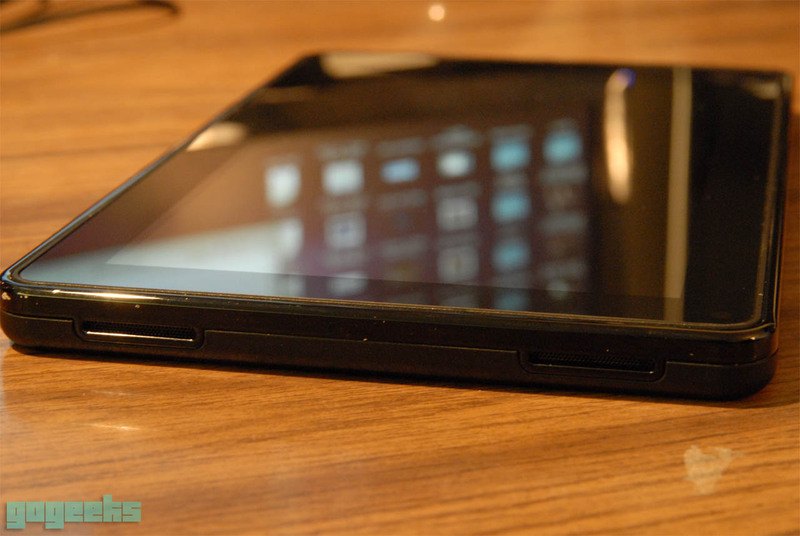 The most comparable device to the Kindle Fire is the Blackberry Playbook. 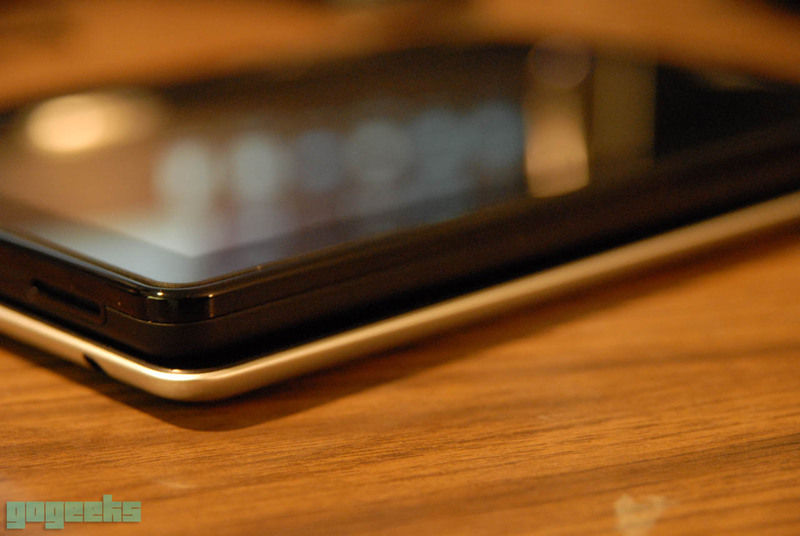 They both support the same 7-inch display on the front, they both use the same general frame. 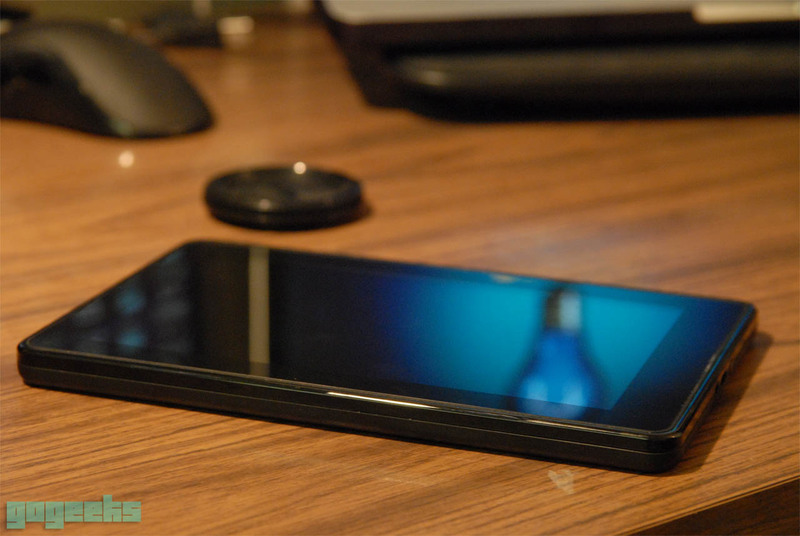 The back has a nice black matte rubberized material with “Kindle” written in the center. 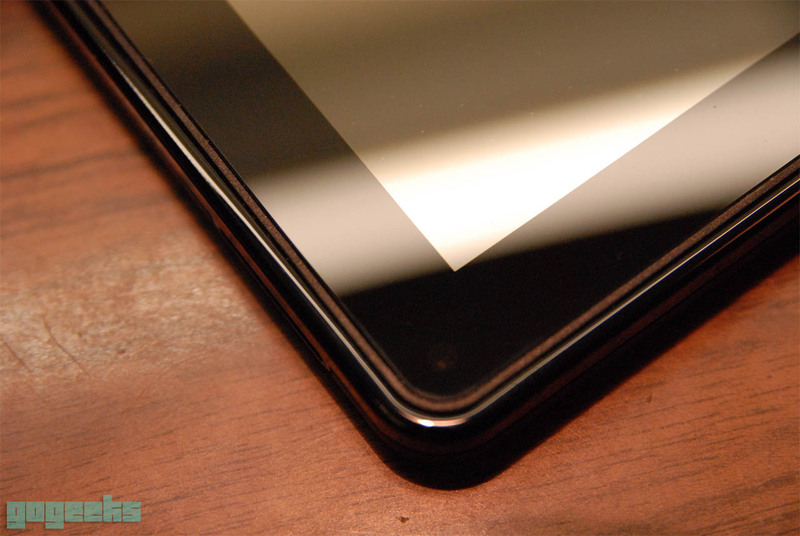 In general, similar to the Playbook, the Kindle Fire feels incredibly sturdy and well built, the matte back also helps with the grip (unlike the iPad 2’s aluminum back). 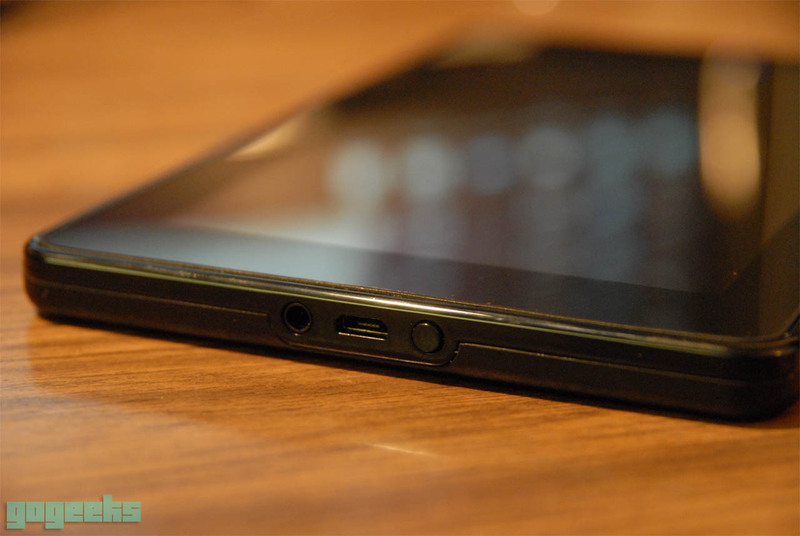 The only real difference you’ll see between the Playbook and Kindle Fire is the lack of cameras (I guess video chat is out of the question then!). 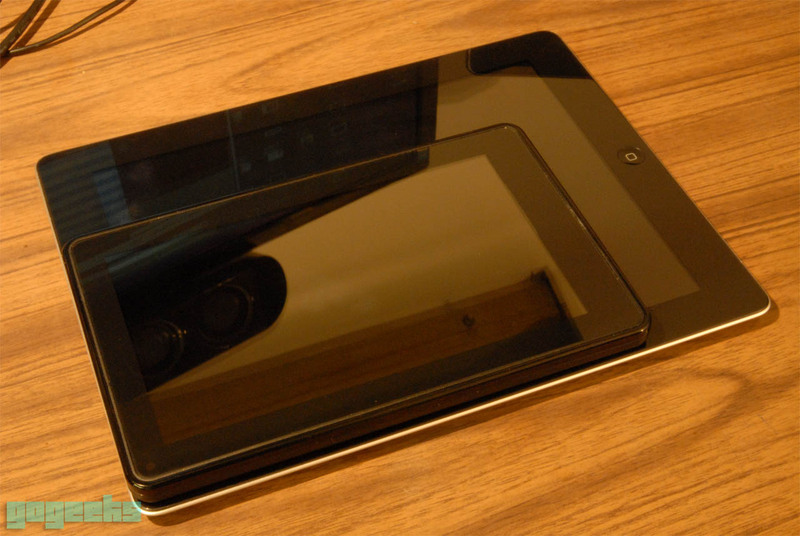 When you pick up the device, you’ll notice it’s much heavier than other comparable 7-inch tablets, you can take that as a good thing or bad thing, in my opinion that’s a good thing, the other tablets feel extremely cheap and breakable. -Measurements: 7.5×5.7×0.47in (190 x 120 x11.4mm). This section will be updated on Saturday, November 19th… it’s too early to tell. As difficult as this is to believe, this device is running Android. For those of you who don’t know, the Android platform is free and open source, the only thing that costs manufacturers when using Android is using Google services (Android market, Google navigation, etc), well Amazon is just using Android as a backbone and not supporting the Google services. In fact, Amazon is pulling an Apple and creating a walled garden around their Amazon services. Having this Amazon walled garden can be seen as an advantage or disadvantage. The advantage is that you have access to the entire Amazon library! Yes, that means if you’re a prime member, all of the prime content can be played for free on your Kindle Fire. So there is a trade, do you want access to the Amazon library with very few apps, or a device with very limited Amazon access and a HUGE app variety? That’s just a matter of personal preference. When you turn on the device it’s a pretty straightforward but unorganized UI. It’s just a bookshelf with all of your last used apps that you have to SIDE scroll (one item at a time). So if you’re someone who uses their tablet a lot, and is using tons of apps throughout the day, then you’ll find this interface tedious to switch apps. When Jeff Bezos was presenting the Kindle Fire for the first time, one feature he was heavily focusing on their “amazing” browser, Silk. Well I can say one thing for sure… meh. This browser really isn’t anything special, honestly it feels the same as any other mobile browser. The iPad continued to beat its load times, but that’s expected with the iPad’s $500 price tag. When scrolling on web pages in the Kindle, you’ll notice that the rendering speed can be pretty slow, not nearly as buttery as other devices. You’ll notice that the scrolling and zooming is pretty laggy. It’s a fine browser, but didn’t deserve all the praise that Amazon gave it during the keynote. Media players are definitely necessary for any tablet to succeed, it needs to be better than a Laptop/Desktop and better than a smart phone. Those are obviously some large terms so the question remains, does this hold up? Well when it comes to video it does but when it comes to music, it’s behind. Transferring content from your computer to the Kindle is a pain, you can tell that they are heavily pushing you towards using their Amazon cloud service or purchasing all your music through the Amazon Music store, both options I don’t like.